It is truly unbelievable how quickly time flies seeing that we’re already approaching the final quarter of the year. At this point in time, you may be helping your children to prepare for their final examinations, but it won’t be long before you start signing them up for year-end tuition or enrichment classes. There are a variety of programmes available in Singapore that will keep your children engaged while expanding their knowledge and skill sets. Coding is a basic literacy in today’s digital age! Give your child a head start in coding by signing them up for a programming and coding class. There are many programming and coding classes available in Singapore that are offered to children ages 4 and up and you can choose from the beginners’ or advanced learners’ programme. The classes will foster your child’s interest in coding, experimentation and brainstorming. By mastering coding, your child can excel in any field he/she chooses in the future! Sign your child up for creative writing classes to keep him/her occupied and involved in fun activities this break! The classes will be beneficial to his/her studies in the upcoming academic year by improving your child’s imagination, self-expression and self-confidence. It also helps to strengthen his/her communication and persuasion skills! Apart from creative writing classes, expository writing lessons are also available. 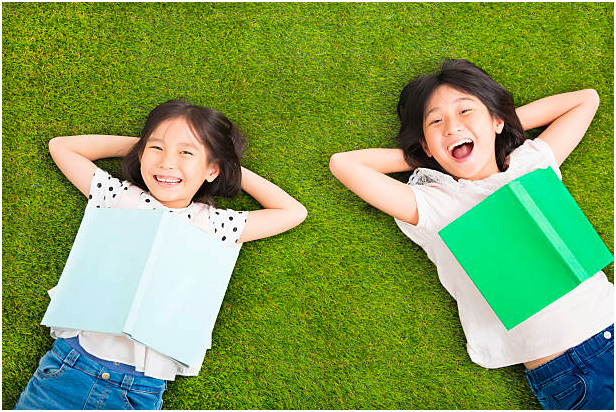 You can even enrol your child into a series of writing classes targeted at improving his/her performance in the PSLE. The holidays also serve as a good time for your child to catch up on his/her studies. Prepare your child for the upcoming school term with tuition programmes covering primary, secondary and JC levels, and spanning fundamental subjects like English, General Paper, Science, Mathematics and Chinese. Apart from strengthening his/her foundation in various subjects, the tuition classes will give your child an edge over his/her peers when starting school the next term. This is especially beneficial for students who are taking national exams in 2019. As PSLE, O Levels and A Levels are getting tougher each year, it is always advantageous to kick start tuition classes earlier to help your child in his/her revision. Some enrichment programmes can equip your children with valuable life skills. The process of acquiring these skills and gaining new experiences also encourages them to step out of their comfort zone, thereby building up their adventurous spirit. Your children may even discover where their true talents and interests lie in through such programmes! Enrichment programmes are mostly conducted in groups and this will allow the participants to improve their social skills as they learn to work together with their fellow peers. They will learn how to make new friends and foster bonds during the programme. Allowing your children to attend enrichment programmes, especially holiday camps, that last an entire day or stretch over a few days can enable them to learn to be independent and develop crucial decision-making skills, without their mummies and daddies there to decide everything for them. Given that enrichment programmes bring about so many advantages, you should fill your child’s holidays with enriching experiences and meaningful learning! With so many different types of enrichment classes available, there is sure to be something for everyone. Do act fast to secure a spot for your child as the registration for many of these programmes are commencing soon! Keep your child preoccupied this break with enriching programmes! KiasuParents’ LearnConcierge can help you to find suitable enrichment/tuition centres that can boost your child’s potential based on his/her learning needs! Our trusted list of centres offer an extensive range of holiday courses for preschool, primary, secondary and JC students. Make good use of this holiday to nurture your child’s talents by signing them up for enrichment classes! It serves as a good opportunity for him/her discover and explore different fields through fun and play. You can also enrol your child for tuition classes to ensure that he/she stays ahead during the holidays! Instead of sieving through all the different holiday programmes out there, you can leave the search to us! Experience LEARNConcierge now and we will find the qualified centres to match your child’s learning requirements for FREE! Stuck In Singapore And Need March Holiday Ideas?